Pacia Life was founded with the intention and passion to fill a gaping void in the education, life skills, grit, resiliency and personal needs for emerging young adults.The informal beginnings of Pacia Life began in 2007 and kept building over time until it was necessary to expand services and open additional locations in 2013. Through the Tatori System, we are ambitiously determined to empower young adults to live healthier and happier lives, to release old behavioral patterns that no longer work,to unleash their fullest potential –to take control of their own sustainable self-reliance and to live as a creator of their life. Pacia Life is an experiential approach that teaches in real life format the things that school forgot to teach you. To transform your life, the whole basis of your thoughts and daily habits must change. 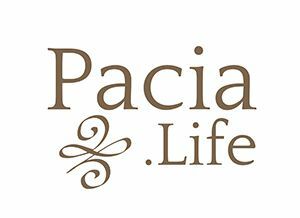 Pacia Life is research based, individualistic, innovative and the most up to date transformational life coaching experience available. The Tatori System, along with our unique Clinically Informed Life Coaching Model sm, encourages emerging young adults to unleash their real potential, eliminate limiting beliefs that are hindering them from pursuing their dreams and adopting powerful mindsets that unlock a life that they are capable of living. Each location is created to meet specific and unique needs. During the initial interview, we will discuss the best location for each young adult. There are many factors in determining the best location for a successful start.